I am an African in America. I refuse the label African-American as I do not wish to claim anyone or anything that oppresses me. My ancestors were enslaved. It is this slavery that fomented the poverty and systemic disenfranchisement afforded to my great-grandparents and grandparents. Mt maternal lineage consists of some free blacks who married interracially, yet this still failed to negate the disenfranchisement that accompanied black blood. I grew up in a part of New York entirely engulfed with blacks from the Caribbean and West Indies. My enslaved ancestors proved the catalyst for a superiority many migrants have towards the enslaved African of the Americas. My childhood acquainted me with only two friends who family did not willingly journey to the United States. To the hispanic from Puerto Rico, the black from Jamaica, and the Asian from China, America symbolized the land of opportunity and we were the lazy former slaves, not afforded the foreign work ethic or foreign exotic beauty. As an adult, I watched migrants occupy the majority of university slots and scholarships. Conversely, the non-migrant black remained predisposed to inferior schools and quick fixes adopted to temporarily cure systemic poverty. I gazed at countless businesses from Delis and Restaurants to Beauty Supply and Dry Cleaving Stores, that despite foreign ownership dominated black communities like my own. This is not to deny that many migrants work for others and function to make the dreams of others a reality. The yellow, brown and black migrant still face racism, but migrants are afforded liberties, the African in America waited centuries to receive. In fact, migrants often receive greater access to these liberties. For these reasons, it is very difficult, if not impossible to see immigration as anything but salt in the wound for blacks in America. Nevertheless, I acknowledge that Trump’s recent action is racist persecution. While I do not perceive the act of extracting immigrants as entirely bad, I do believe that whites performing this extraction is insultingly ironic. Whites were America’s first immigrants. With Trump’s recent actions, I can’t help but wonder how different the world would be if the indigenous implemented these same policies. The trump administration implements this ban not because they oppose inhabitants journeying to a foreign land—for to do so would be to admit the wrongs of their past. The ban prevents ethnicities outside of whiteness from exercising the privilege to incur benefits from what is not natively yours. Furthermore, “making America great again” simply means returning privilege to its initial exclusivity. Namely, to “make America great again,” is to extend privilege solely to white men. This is the same reason that Hilary Clinton did not win the election. Fraud tainted Clinton’s credibility during her campaign, not because America is a just country but because these deeds illustrated Clinton as a white woman bearing traits solely excusable when corresponding to white men. Fraud is what the white settlers implemented to steal America from the indigenous. It was not conquest, or discovery the founded America, it was entitlement and greed. Fraud fostered traditional white wealth, wealth that trickled down to contemporary figures like Donald Trump. Despite appearing fraudulent with regard to his un-filed taxes, Trump proved victorious. The dismissal Trump faced in his behavior, demonstrates the essence of white supremacy where wrong is right, as long as he’s white. Indigenous land and African labor created America. Thus, we made America great. Any action or words to the contrary is merely another lie in the tangled web of white supremacy. The damning trait of immigration is that it operates in a similar manner to the Santa Claus concept. Santa Claus, a white man who magically journeys North America in one night to reward the good with presents functions similarly to an allusive America who presumedly affords luxury to those who work hard. Immigration functions to implement the white savior concept, or that greatness is solely attributed to whiteness. Furthermore, immigration foments white supremacy, placing countless migrants on.a journey to an allusive whiteness simultaneously displacing foreign potential onto an underserving land. Fighting to inhabit a land established on murder and thievery continues to baffle me. 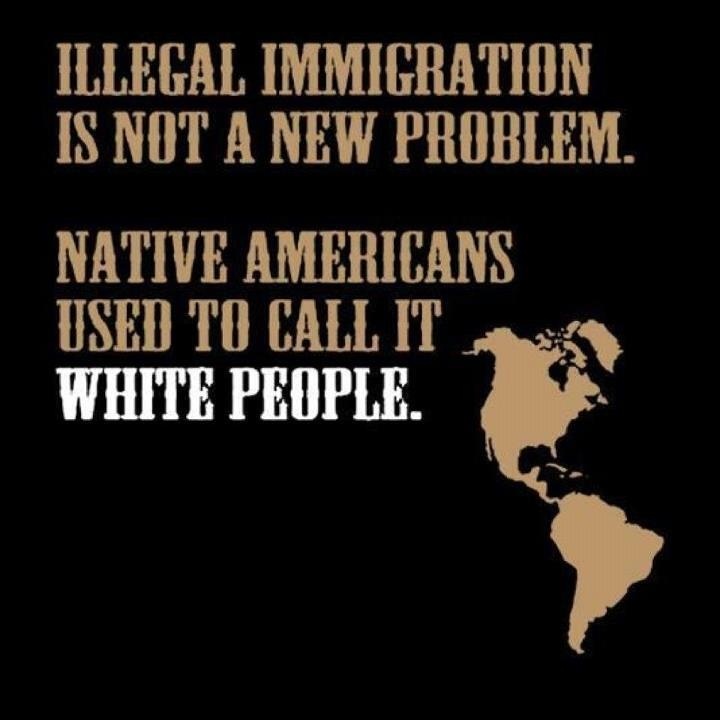 Thus, I oppose immigration as a means to discount the curing quality of whiteness and suggest that the would-be American migrant make their indigenous land, not America, great again. Previous PostThe Myth of Chicago Next PostDoes BET Series “The Quad” hit the four corners needed to advance contemporary black portrayal? Very thorough post CC! You hit on so many great points! This is what many Trump supporters don’t want to admit to themselves. But you really nailed it. They have very short memories. They were the first immigrants! Thank you! Exactly! I’m interested to engage your experience with immigration within and outside of blackness. I have had different experiences with immigrants. I have worked with Mexicans,Puerto Ricans,Filipinos and Africans. I work with a few Africans from Nigeria,Ghana and Ethiopia. I have had experiences with them. I have become good friends with three Nigerian women. They have different culture and customs than black Americans. But they treat me no different and see me as their brother. When we discuss racism from whites we notice we have share the same mindset. They go through the same racist crap we deal with. Some Mexicans do take jobs from black Americans so there ca be some tension with them. And some Koreans and Filipinos think they’re better than us. But I have noticed that with many immigrants. Have you experienced that? Sometimes they give off a sense of superiority to me. Do you ever sense that? I’ve experienced and witnessed feelings of superiority from all migrant groups–even in friendships I’ve had with Asians, and Latinos unfortunately. As far as black migrants, we definitely have folks that adopt the Kwame Toure, and Gil Noble pan-african mindset but generally I have only acquired one exception. And he’s now my boyfriend lol. I’ve had folks from the continent laugh because my dad works a blue collar job and other folks from the West Indies/Caribbean try to shame me for my looks and because my ancestors were enslaved. Crazy but thats the depth of white supremacy. Well I’m glad you found love in the process. That’s a beautiful thing to hear. Yes I know about people from the West Indies. I used to have a neighbor from the West Indies. He was a really col brother. I also dated a Jamaican woman. Her family was very accepting of me. It took awhile to win them over but they came around. But I know some Africans from the islands and other places have stereotypes of black Americans. We have to stop diving and hating on each other like that. We are all victims of WS at the end of the day. This society judges by your race FIRST and foremost. They don’t care if you speak English or Spanish or the type of clothing you may wear. If you look black you will be judged first by your blackness. The African diaspora must realize this. Just out of curiosity, what did you find funny? 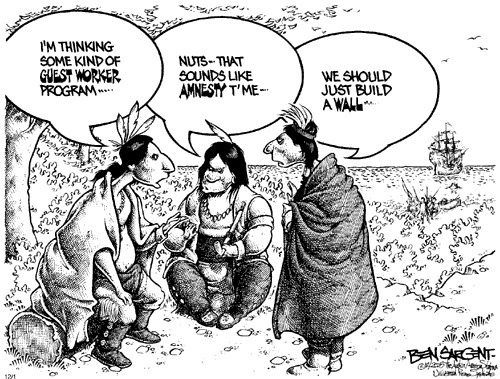 I just find it funny because I wonder what it would be like if Natives treated Europeans the same way. Whites hate immigrants but they were immigrants at one point. I don’t even know their true origins other than the Caucaus mountains.